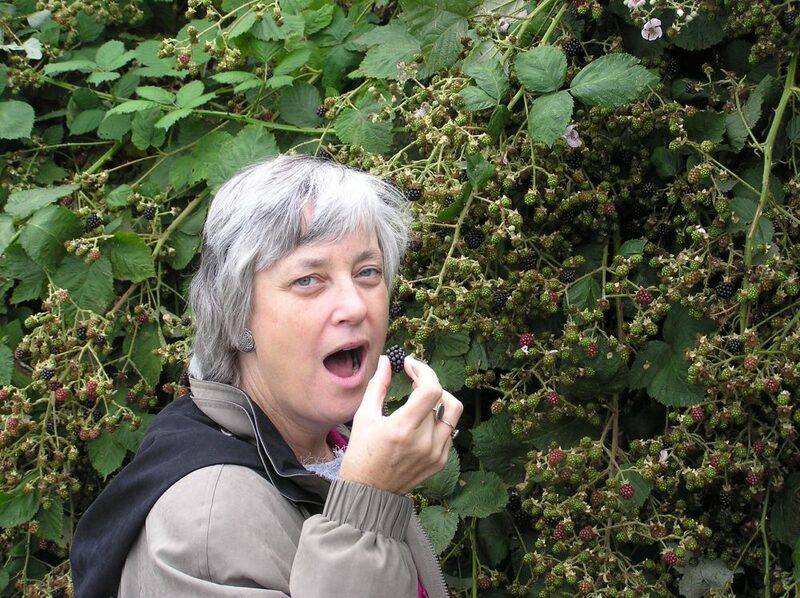 It is blackberry picking season here in the Pacific NW and last week Mustard Seed House community members Dan and Lisa De Rosa went blackberry picking around Greenlake. They had planned well and were prepared for the harvest with lots of yoghurt containers to fill and lots more to give away to others who had come unexpectedly on the harvest without any planning. Last week I talked about our need to plan. I talked about planting but as I chatted to Dan and Lisa this week I realized that the harvest needs just as much if not more planning so that we can not only harvest effectively for ourselves but so that we can be generous in what we give away too. The first step in planning effectively for any harvest is to look at what fruit is ripening and when it will be ready. Then we need to figure out what we are going to do with it. Similarly in our spiritual lives. Paul tells us that the fruit of the spirit are unconditional love, joy, peace, patience, kindheartedness, goodness, faithfulness, gentleness, and self-control. (Galations 5:22-23) Where have these attributes grown in you over the summer? How can you harvest them now. What else has grown over the summer that is now ready for harvest? Hopefully it has been a season of refreshment and renewal with lots of relaxation and fun. Maybe there have been times of retreat and pilgrimage. Or perhaps you have been on mission trips that have opened your eyes to new perspectives on our world and its people. The fruit is ready – how do we harvest it and what are we going to do with it? Know What to Do With It. What do we do once we have harvested the crops? There are three things we can do – we can eat it immediately, we can store and preserve it for future use or we can give it away. All are important. Harvest festivals are a great way to both enjoy and to share the abundance of the harvest.Harvest time is best when we share – both in the harvesting and in the consuming. Perhaps we need something similar in our spiritual lives – festivals of laughter and fun, of delight and thanksgiving in which we share the joys of summer and what we have learned about God. As I ponder this I am reminded too that the elements of the eucharist are made from the earth’s bountiful harvest. Bread and wine, picked as individual grapes and kernels of wheat but crushed and united with other grapes and kernels to give us the elements we share. Individuals become community in the bread and the wine. Where else should I allow my individual harvest to be crushed and combined with that of others to provide nourishment? Generosity and sharing are written into the harvest. Part of what I have learned from gardening is that even the imperfect fruit is worth eating. The misshapen and blemished fruit might look unsightly but it is still nourishing. Bruised fruit is more fragile but if we eat it quickly is still delicious. Even the worms that infest our apples can be avoided if we work quickly to dry, preserve and make pies. What is the spiritual fruit of my summer that needs to be harvested and eaten quickly so that it doesn’t spoil I wonder? Maybe it is the energy that summer has stored – I know it will not last. My body will soon want to slow down for winter so I need to make the most of it now. I need to put my energy to good use, feeding both myself and others with God’s bounty. Or perhaps it is my summer reflections on what shaped my past and what will shape my future. I realize my imperfections when I move on from these too rapidly without giving them the attention they deserve. Or it could be my relationship to friends I saw over the summer – resolutions to stay in touch are already fading. Maybe the long term fruit are the memories and the delights of these encounters. 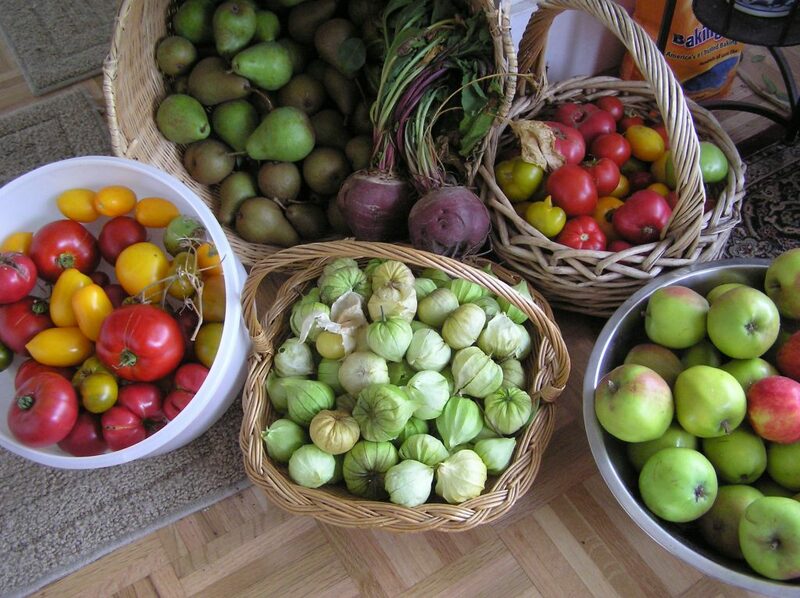 What do you think are the fruit of your summer that need to be harvested now? What are the blemished and imperfect fruit that need to be eaten quickly? What are the fruit that should be preserved and stored for future use? Take a few moments to prayerfully consider these questions. Write down what you feel God is saying to you.